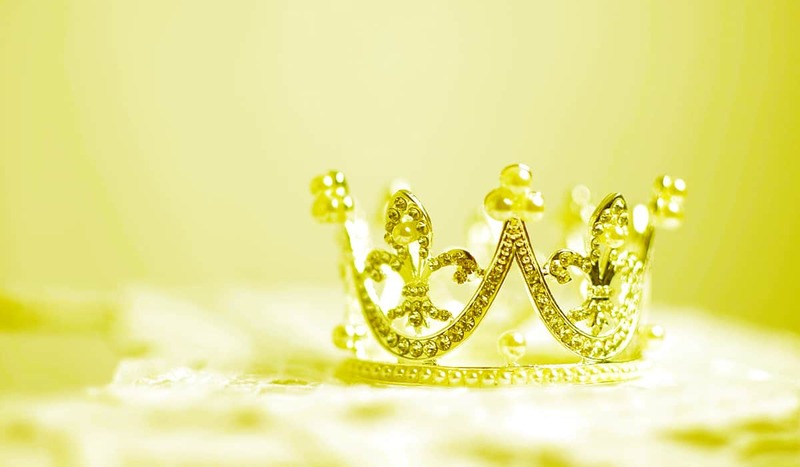 You’re the queen of your own castle. You become your true self. 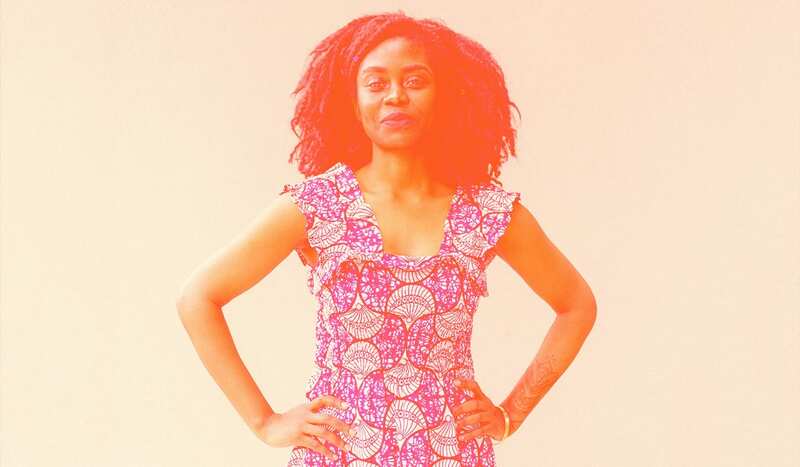 Plan your budget before you go solo. Make sure you feel safe. 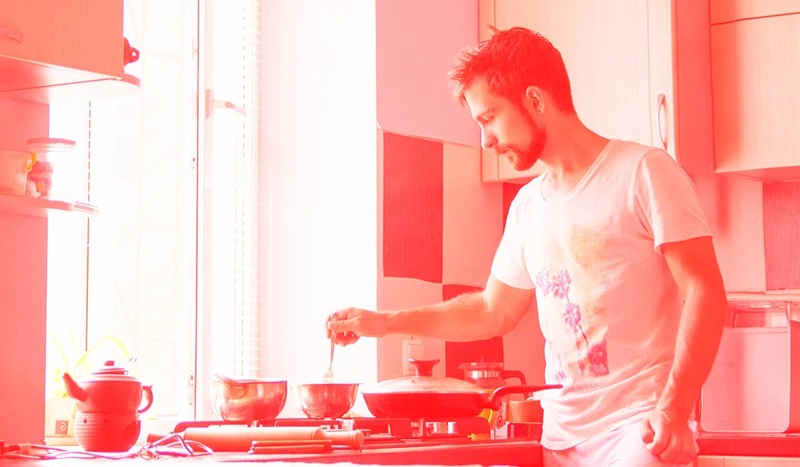 When I began researching this post, I was flabbergasted to find articles that explained the perks of living alone—like they didn’t speak for themselves. I’ve been living alone for a while now, and I can’t imagine any other way (aside from when I hopefully find “the one” someday and settle down, although living separately is becoming the new normal). In fact, in the U.S. alone, 28 percent of all households are solo dwellers. 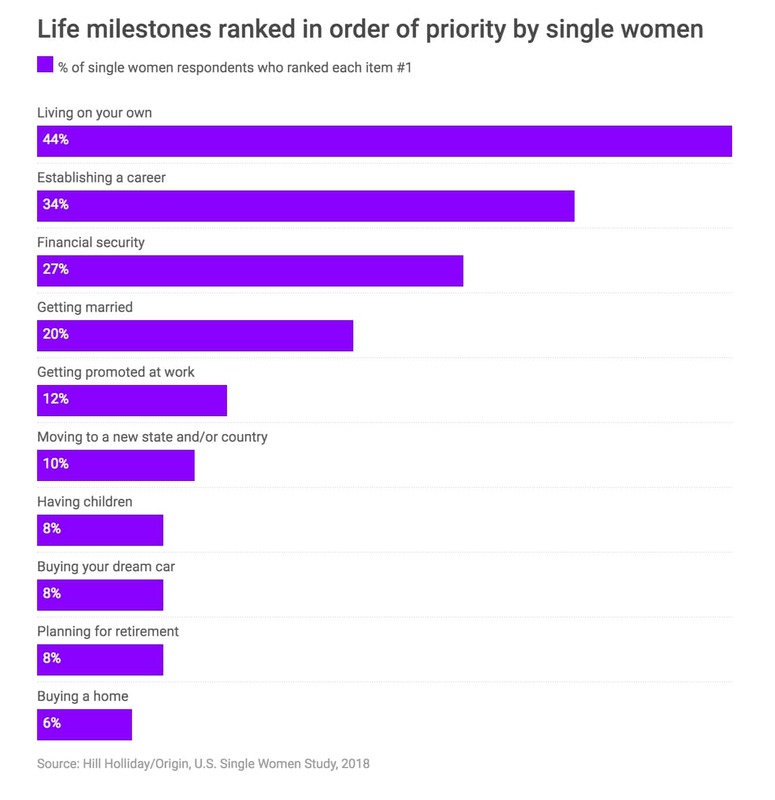 And according to CNBC, single women’s no. 1 priority is living on their own. Again, I don’t find this all that surprising because living on your own is freakin’ awesome. In case you still need convincing, here are all the reasons why. And who makes the rules in the castle?! The queen, that’s who! Living alone means you control the volume of the TV, Spotify, and your own damn voice. 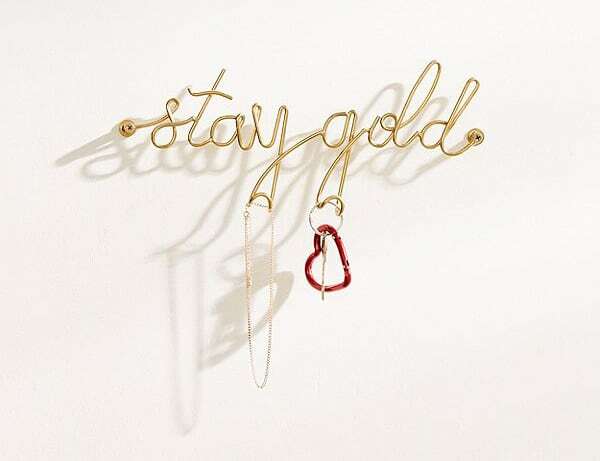 No more listening to your roommate’s sorority sisters crying about stupid boys into the wee hours of the morning, and no more compromising to meet the needs of another person. 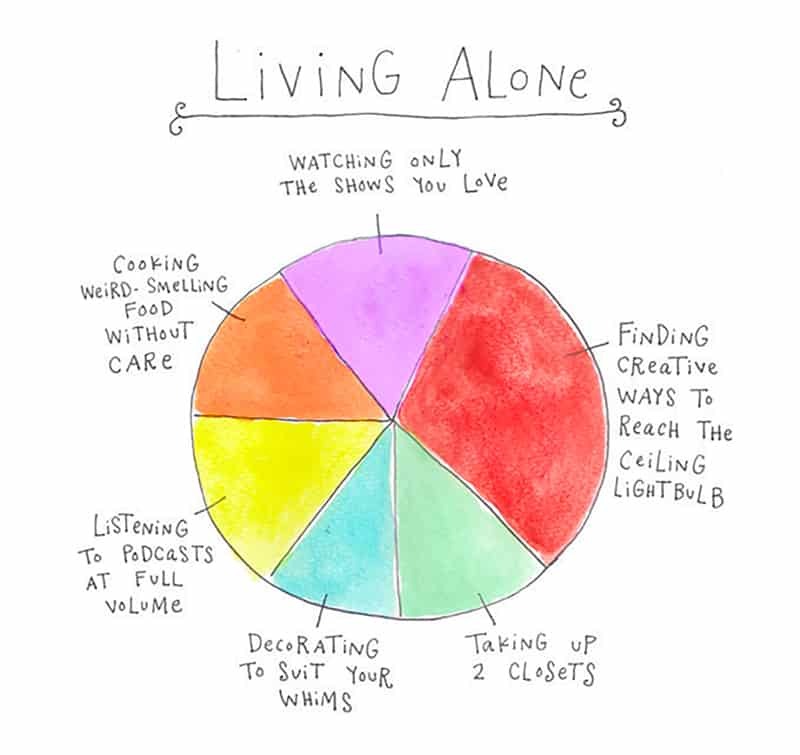 The other pro about living alone? You can decorate however YOU want. I adopted a lot of bad habits from a former roommate, and it turns out I’m not an anomaly. We’re so caught up with our friends and what they think of us that we never get the chance to think about what WE actually want. Up until around 23, I was still friends with the girls I hung out with in high school. It wasn’t until I moved in by myself that I had a lot of time to reflect on those relationships, and I realized they just weren’t that good. The girls were mean and catty, and I didn’t want to be like that anymore. I also discovered I liked staying home on Fridays instead of partying all night. I learned what my true interests and passions were, which helped me accelerate my career, while my old friends were (are) still bartending. If I hadn’t lived by myself, I’m not sure I would’ve found myself [as quickly as I did]. Research reports I’m right on this one. Most solo dwellers are surprisingly social, according to research. Single women’s No. 2 priority? Progressing in their careers. There’s no faster way to accelerate in your career than by living by yourself. 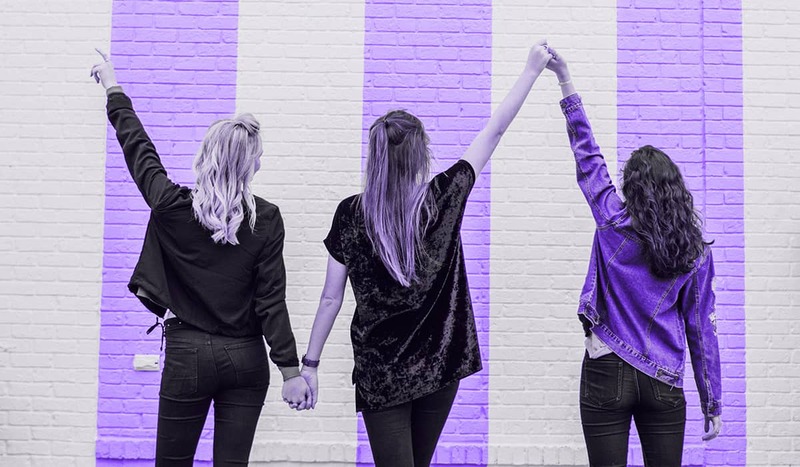 As I mentioned earlier, you can easily slip into your roomies’ negative behaviors—like partying every night instead of getting your work done, which all adds up to slacking off at work. And slacking off at work is NOT how you get ahead. When you fly solo, your time is solely yours. I feel like living with a roommate is like working in an open office; you’re setting yourself up to be constantly interrupted. There’s always at least one person whose texts you can’t ignore because you live with them. They can knock on your door whenever they want, and you’re forced to answer or be stuck with anxiety from worrying about not answering. One of the best things you can do for yourself—maybe even the best thing you can do for yourself—is become independent. And living alone will allow you to do just that. Feeling a little more excited about living on your own now? I hope so. To wrap things up, here are some tips for doing it right. It’s definitely more expensive to live alone. 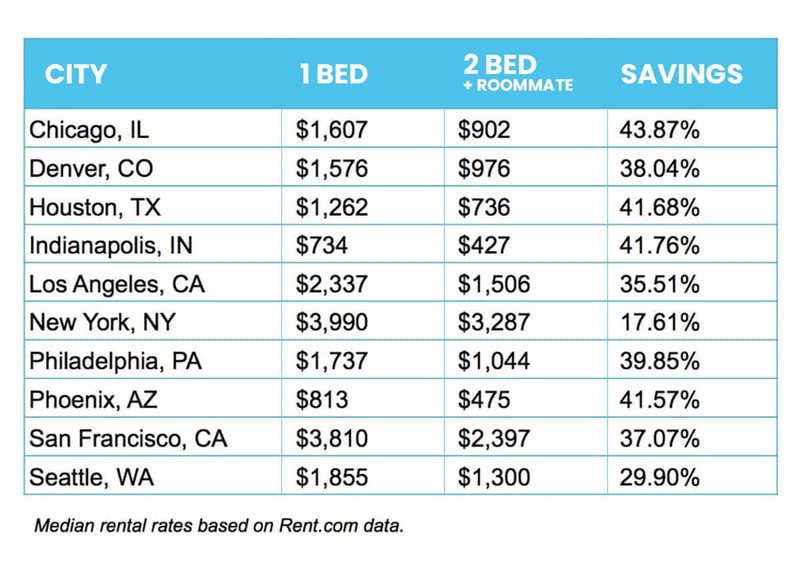 Just look at the above chart from Rent.com, which shows it can be up to 44 percent more expensive for a one-bedroom than a two-bedroom where the cost is shared. Before you move out, do your research. How much do one bedrooms cost in your desired area? Experts suggest spending no more than 25 to 30 percent of your net income. You’ll also want to consider utilities such as electricity, cable, Internet (~$80/month), and groceries. And don’t forget you’ll likely need a security deposit, plus first and last month’s rent. The good news is, you can usually negotiate this stuff. Here’s a great article on how to do that, and here’s one more. Last and certainly most exciting, you’ll need furniture and things, like dishes and utensils, unless you want to live off plastic forks and knives (Hey, I’ve done it!). Look on Craigslist or OfferUp for deals on furniture as well as Marshalls, TJ Maxx, and Homegoods. 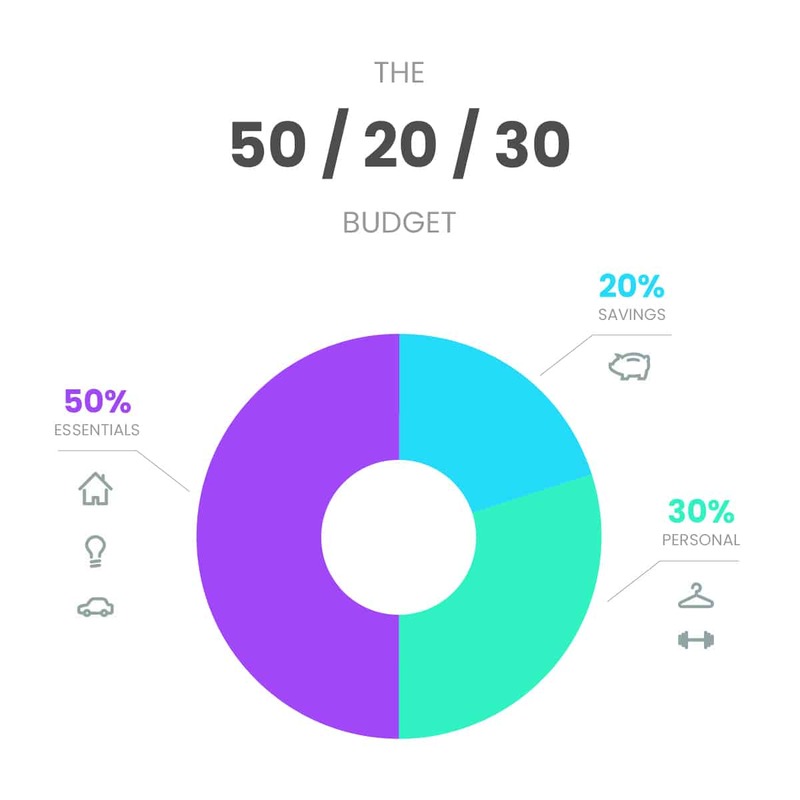 If you’re feeling overwhelmed, a good way to think about your monthly budget is the 50-20-30 rule. 50 percent of your income goes to essentials (the absolute necessities in your life). 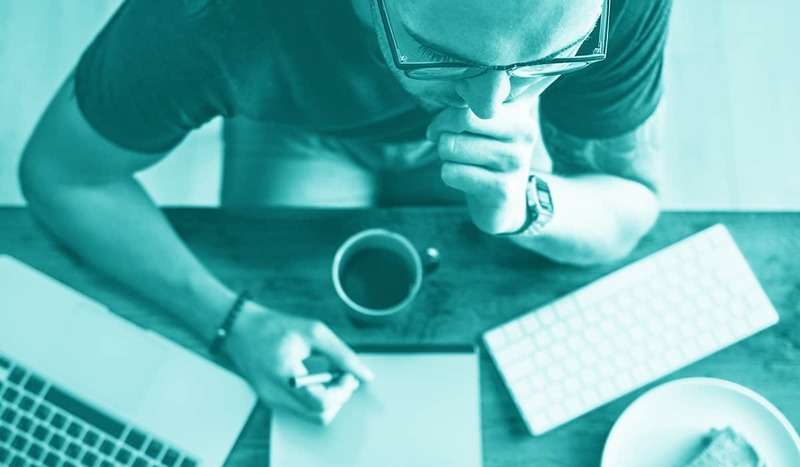 20 percent of your income goes to savings (savings plans, debt payments, and rainy-day funds—things you should add to, but which wouldn’t endanger your life or leave you homeless if you didn’t). 30 percent of your income goes to personal (unnecessary expenses that enhance your lifestyle). 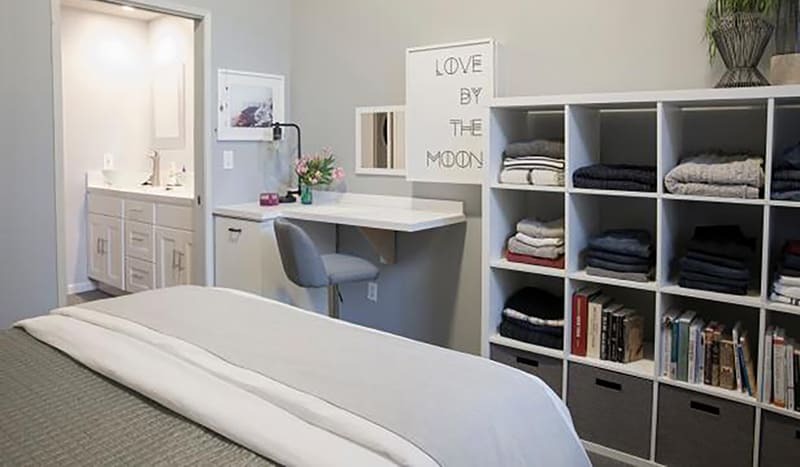 Since you’ll be living on a budget, at least at first, it wouldn’t be crazy to live in a studio, especially if you’re in a big city like Manhattan. 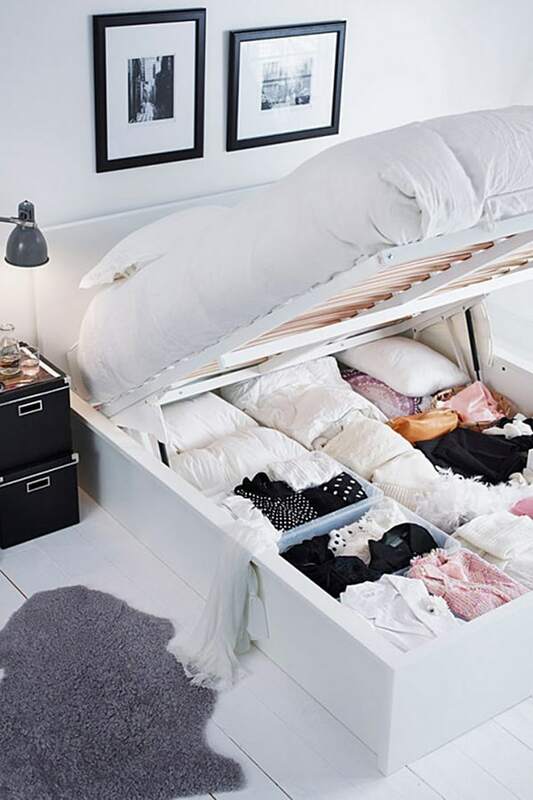 Because things could be cramped, you’ll need to be creative with your space. 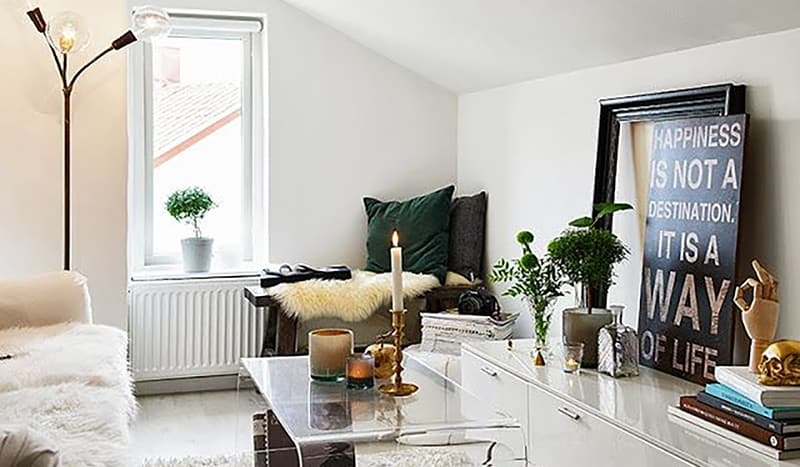 Here are some ideas for small [studio] apartments. 1. 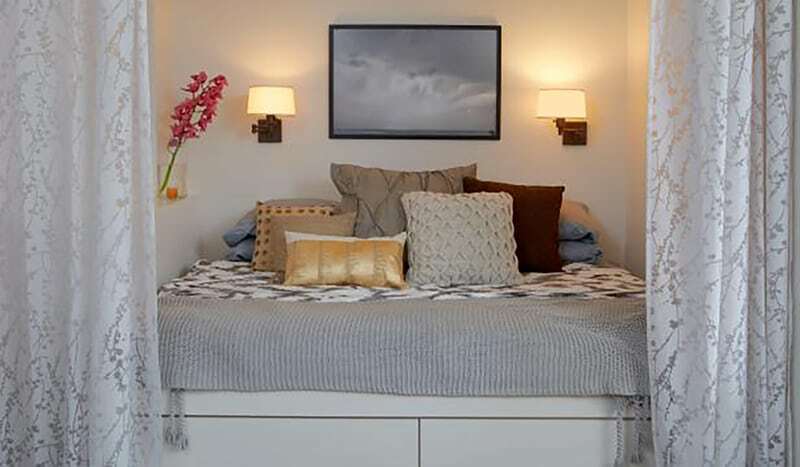 Divide your space into separate areas. 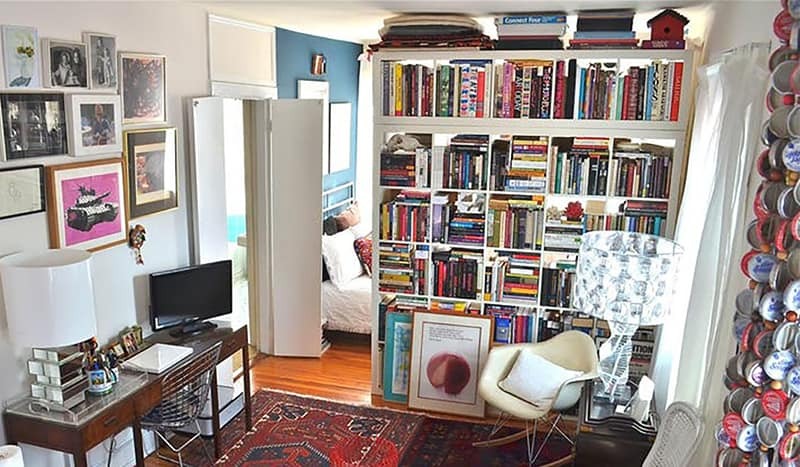 Get a large bookshelf or hang a large painting with transparent hooks from the ceiling to create the illusion of separate living areas. Here’s a few examples of bookshelf dividers. You could also use curtains for the same illusion. For example, you could hang curtains in front of your desk. 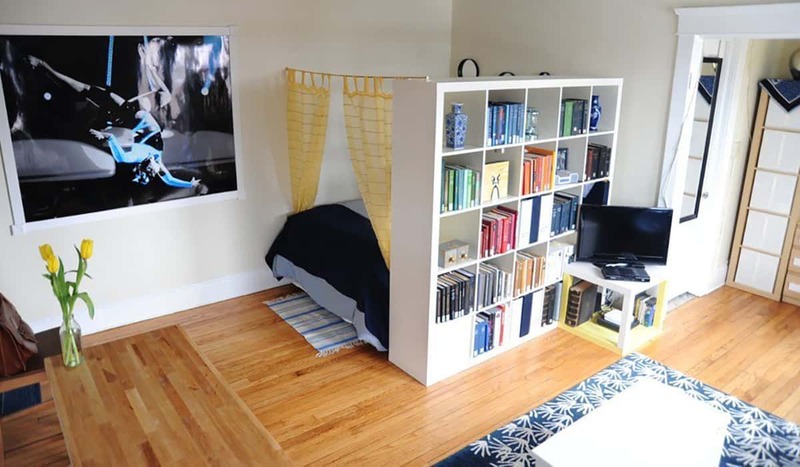 Or you could use curtains to hide your bed, and make it your own private bed nook. 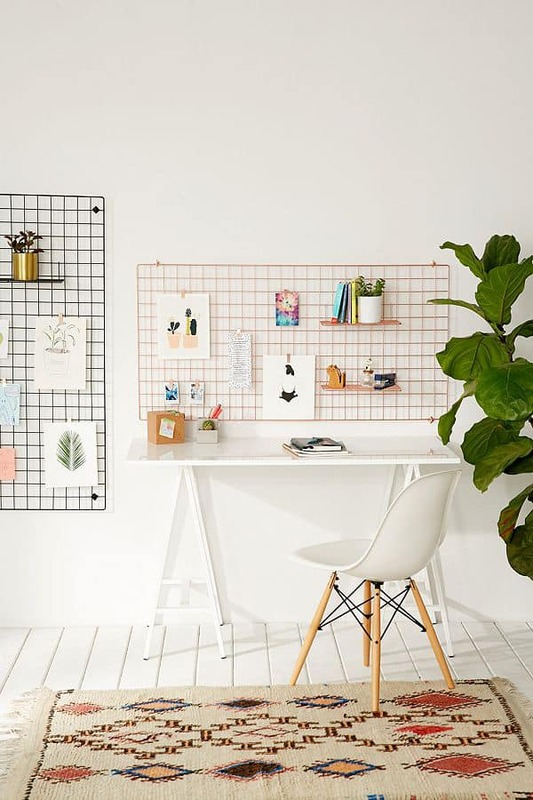 Or hang some classic wall shelves to make your space appear bigger than it is. 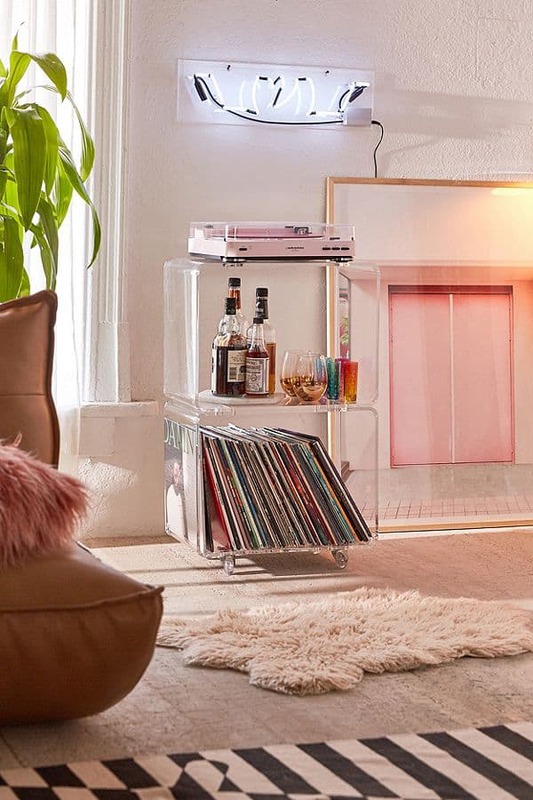 Transparent furniture will make your space seem bigger, if it blends with your surroundings. The quote photo in the picture above is actually more than wall art—it’s storage too. 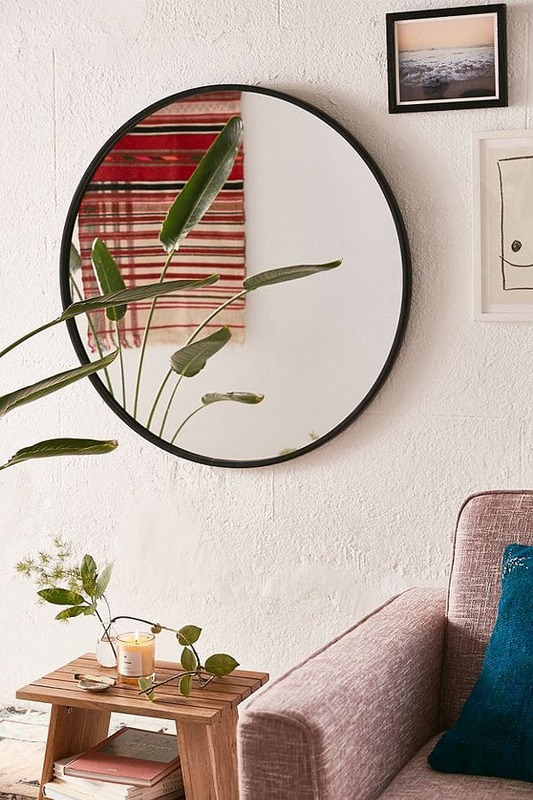 Urban Outfitters has a ton of really cool mirrors, which will help add depth to your space. 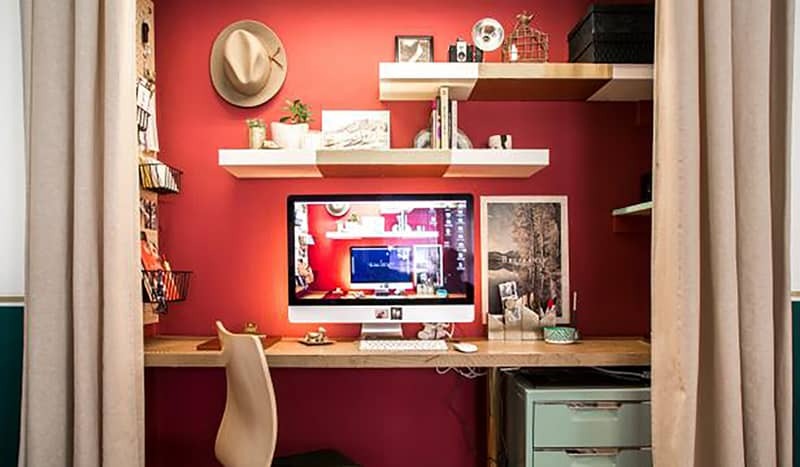 Want more creative living ideas, check out this Buzzfeed post and this Brit+Co article. To this day, I’m still scared when I hear horror stories, but I’m a lot better than I when I first started living alone. Here’s some tips and tricks for scaredy cats like me. Get a night light. I leave a light on every night when I go to sleep. In fact, I can’t sleep without it. Live in a condo or an apartment complex. Usually condos have guards at the front. Mine does, which makes me feel a lot more secure. Get secure locks. You could get a deadbolt lock or door chain in addition to your regular door locks. Get a dog. I got a little dog, and his ears perk right up whenever there’s a noise. I love it. Have an emergency contact. Keep your phone close by, and make sure you have someone you can call in the case of an emergency. You never know when you’ll need your neighbor, so be nice and don’t be that loud jerk who everyone wants to call the cops on. Not only can neighbors look out for you, but they can also watch your apartment while you’re away. Don’t be shy about asking for people’s names and phone numbers when possible. Meet neighbors by hanging out in the community areas—pool, gym, etc.—or, if you have a dog, walk him around the area at times when a lot of people are out and about. Commit to getting out of your place or hosting small get-togethers to avoid feeling lonely. One girl went so far as to color code a Google “activity” calendar to ensure just this. Join a gym or attend workout or yoga/pilates classes. Join clubs or recreational teams. Consider Greek life, if you’re in school. Make friends with your colleagues. Eat dinner by yourself at the bar instead of a table. Use dating apps like Hinge (much classier than Tinder). It’s important to diversify your friends and make sure you have lots because, all of a sudden, you’ll wake up and just about everyone will be married and having kids. Trust me, I’m stuck in this exact scenario now! Living alone is a really special time that you shouldn’t take for granted. Someday you could meet someone, fall in love, and end up moving in with your dreamboat, so milk this special time for all it’s worth. Forget to put pants on, leave dirty dishes on your nightstand for days, and most of all, enjoy the solitude, because before you know it, it’ll be gone.